Chico Meteorite For Sale 8.9g CHIC-24 - The Meteorite Exchange, Inc.
As an impact melt meteorite Chico is fascinating to look at. 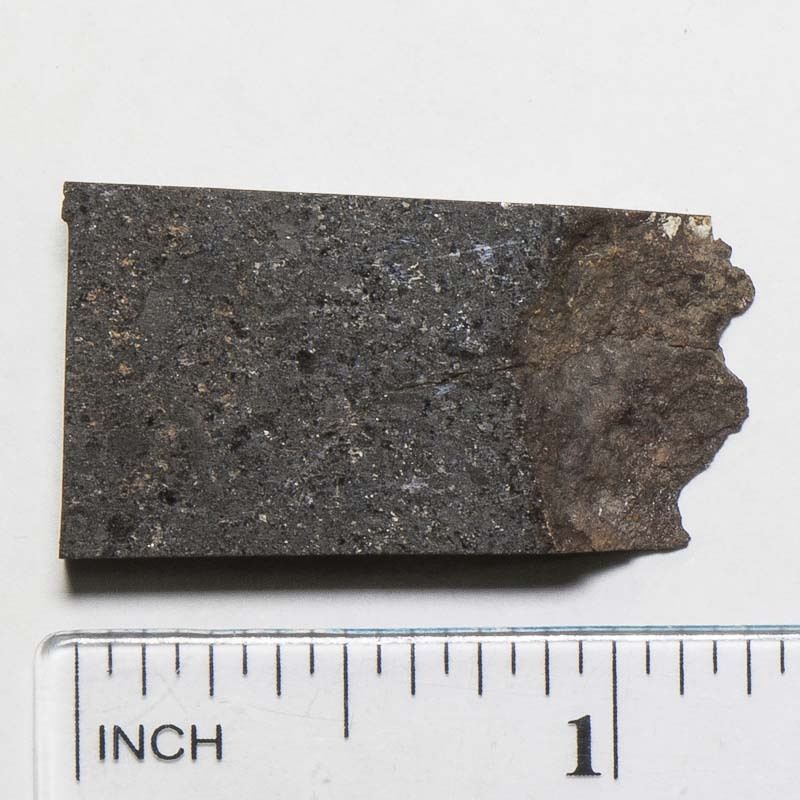 The metal in parts of the meteorite is now tiny blebs of microscopic size that give areas of the stone a silvery metallic sheen. The mineral portion of the meteorite has been melted so much that it runs through the stone as swirling and twisted bands of glassy rock. There are areas bordering the melt that have preserved in them a more normal chondritic appearance. The specimens we are selling were cut from large slices that had been polished on one side already. We have kept them the way they are with one side finished to polish and the other as laboratory cut. The unpolished side actually shows features of the stone that are concealed when polished.